July 11, 2009. Seth checked in after a sighting in June by a Dolphin Field Investigator (DFI) prompted a successful webmaster appeal to the Dartmouth Harbormaster to help us get in touch. Stay tuned for more. July 12, 2009. Seth sent in the following email and photos of Porthos. I have attached a few pictures of Porthos for your site. 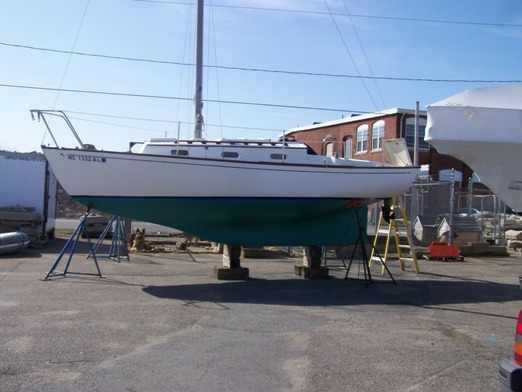 I have owned her for five years having purchased her at auction at Mass Maritime Academy five years ago. 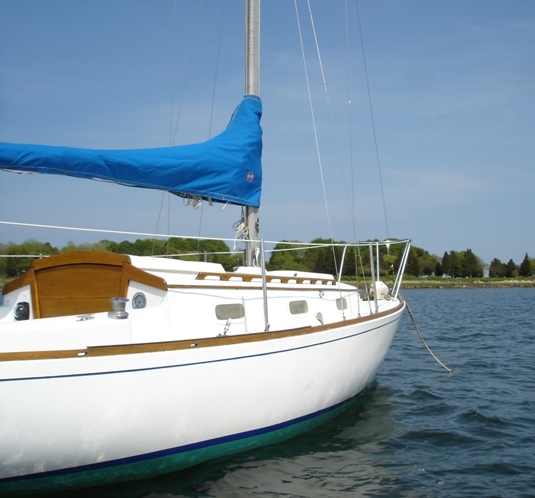 I unfortunatly do not have any information about her previous owner other than she was on Cape Cod for quite some time.We currently sail her on and around Buzzards Bay. 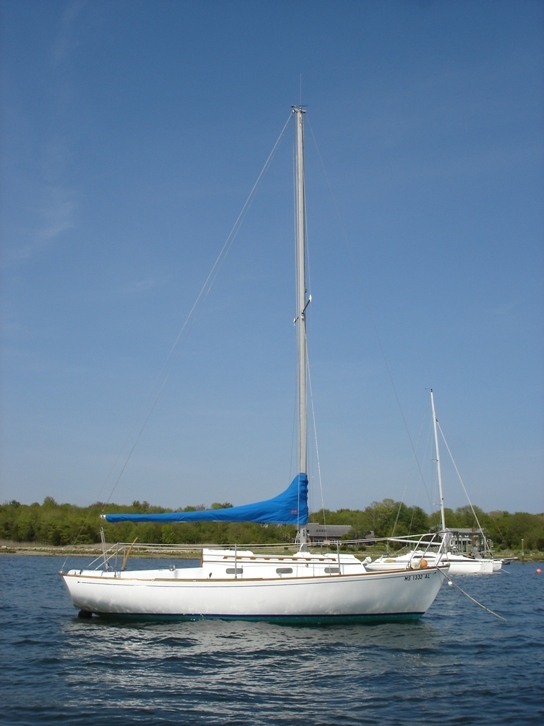 I have seen a much older Dolphin stored at the yard where I have my dinghy tied and will see if I can get more info for you. ps Her name was Kokomo, I fell in love with her as soon as I saw her profile. At the time I was actually looking for a Cape Dory 25.